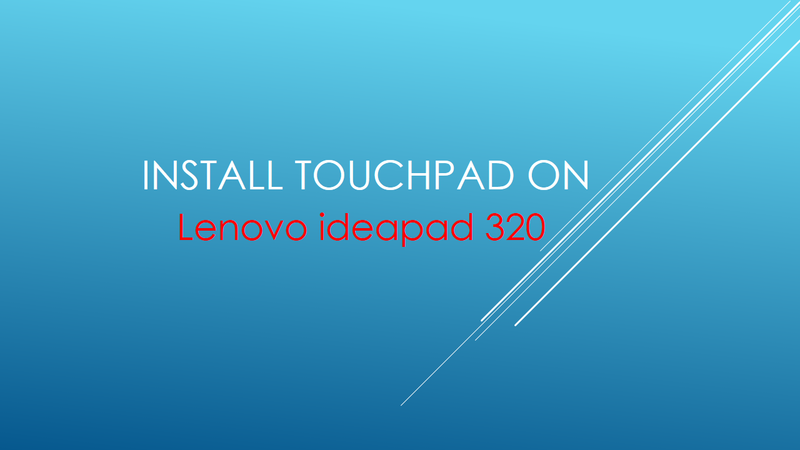 I m using Windows 7 OS in my new Lenovo ideapad 320. According to manufacturer this Laptop does not support windows 7 so there is no driver available on its official website. 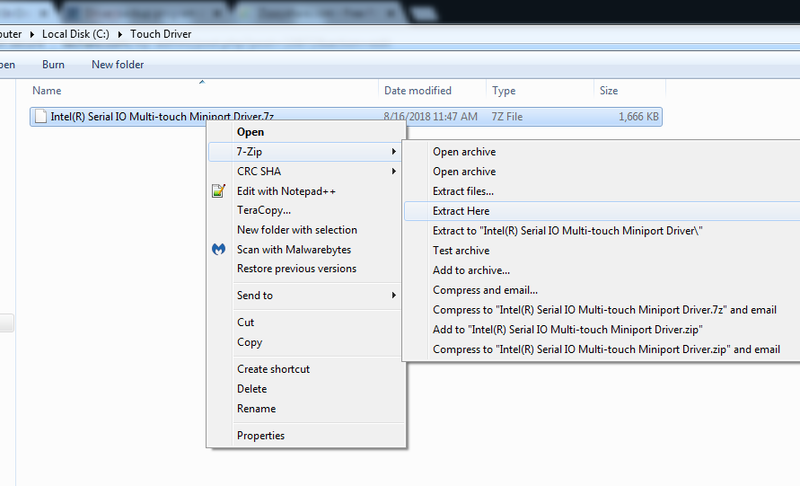 After a lot of efforts, I got success in installing touchpad driver on my Laptop. 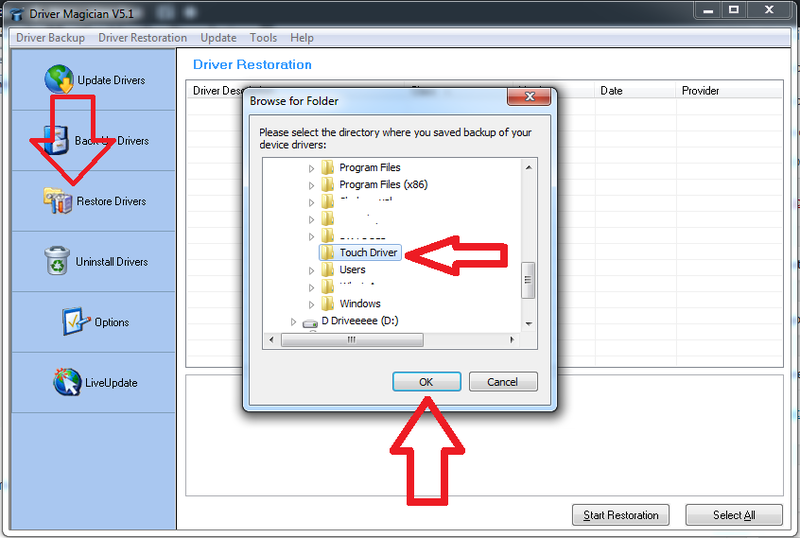 After successful installation I got backup of drivers with Driver Magician software so that I can share it worldwide. 2. Activate the Software using keygen. 7. 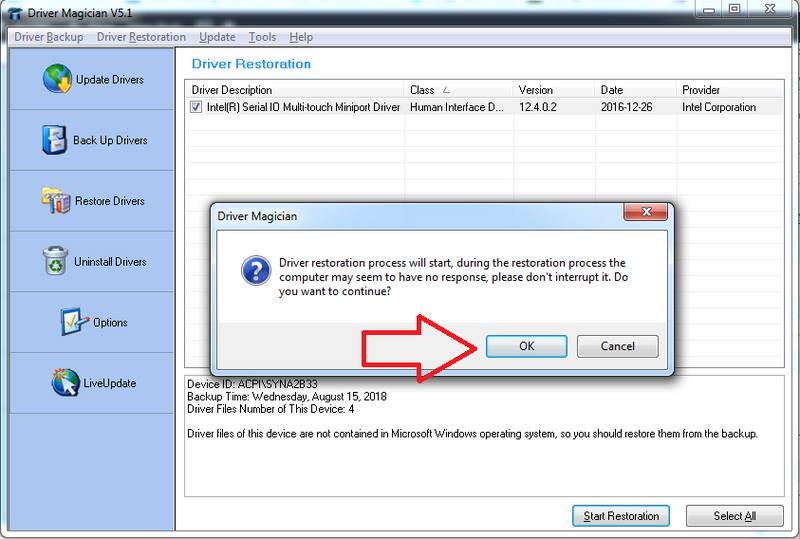 Click OK and restoration will start. 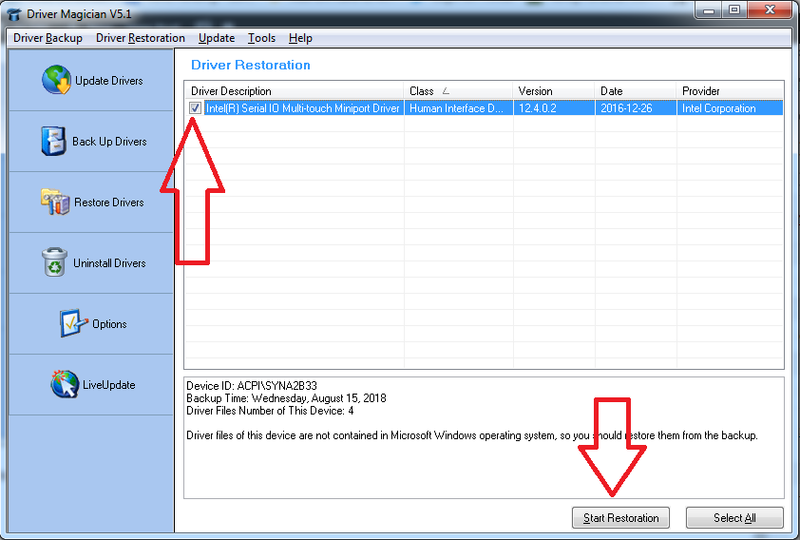 Install a third party software Driver Magician on your laptop and activate the software.